MFest is a dedicated festival of Muslim literature, culture and ideas. The first of its kind for the UK cultural landscape, it hit the ground running with the first instalment in April. 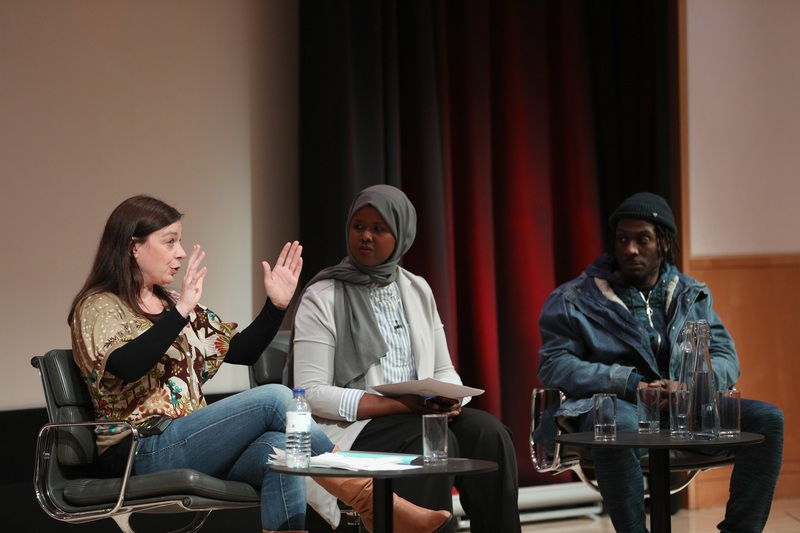 The festival, based at the British Library and P21 Gallery, spanned three days and covered a range of issues: from panels on Muslim soldiers in World War One to feminist narratives and artificial intelligence developments. There was also engaging conversations, tackling various topics from choreography to gastronomy, as well as zine making and poetry workshops, comedy, poetry performances and much more. The panel shared their knowledge of historical links originating from west African Muslim societies such as Mandinka, Hausa and Fulani, bridging the gap to the Caribbean by means of a harrowing colonial history often neglected in conventional Muslim discourse. There was also an emphasis on cultural contributions and the religious plurality of the islands. Muslim women aren’t monoliths, as Muneera is quick to point, describing all of her identities as “equally important”. “In fact looking at my studies in university now, they’re not so focused on the Caribbean but they’re looking at the idea of multiple marginalization and triple invisibility,” she told me. Her experience of navigating the world is a completely different experience that of “a black Muslim man…or an Arab Muslim woman”. With an endearing sparkle in her eyes, Muneera added, “there’s definitely much more to me”. She is currently working on her album debut for Poetic Pilgrimage and will be joining BBC Radio 2’s Pause For Thought. On the same day, I went to the “Grenfell: Social Activism and the Failure of Politics” panel (pictured below), which explored the consequences of Grenfell on activist movements, posing important questions on how the working class diaspora is presented in the media. The “Forgotten Histories: Representation of Non-Binary Identities in Muslim Art” panel cultivated fruitful discussion on the orientalist gaze that tends to be intellectualized in western thought. A key point raised by Dr Nur Sobers-Khan was that artistic depictions of gender and sexuality are not simply an example of the Islamic world imitating dominant western art, but rather that gender and sexuality are human identities, not western constructs, that exist in Muslim-majority societies. The panellists were careful not to ascribe sexuality and gender as strictly western identities, instead raising awareness of androgyny and masculinised identities in 19th-century Iranian art, for example. Chair of the panel and broadcaster, journalist and filmmaker, Bidisha, shared some thoughts on representation and film. As a filmmaker, she described how “incredibly important” it is “to be part of an all-women team” during the production of her debut short film, An Impossible Poison. Featuring as the central protagonist, Bidisha explained that it was important to represent women of colour in a non-stereotypical way, one which is often bound by passive fatalism and tropes of suffering. Audience’s expectations of character representation, Bidisha reflects, is “always incredibly raced and gendered”. Bidisha, who is not a Muslim, made a poignant remark regarding racial homogeneity: “People know so little about the world that they assume all brown women are Muslim…It’s just really regressive and so basic that we are being judged just on colour”. Bidisha is currently working on her second film. The panels were thought-provoking, highlighting the importance of intersectional awareness within Muslim identity as well as subverting the typical “passive” Muslim narrative regurgitated in the media. During “The Right Kind of Muslim?” Sayeeda Warsi explained that religious practice becomes a culture in itself. It promoted a sense of community and underlined the importance of heritage when earlier generations of Muslims were othered and subject to vile xenophobia. However, as the new generation of Muslims, we have a new culture amongst ourselves, in which we do not necessarily adhere to one conventional Islamic culture, instead embracing a new cultural renaissance of ideas and approaches – a diverse and unifying Ummah. By demonstrating open-mindedness and embracing the redefining of the cultures of Muslim identity in Britain, MFest offers something incredibly special. This is a very promising festival, which plans to make its comeback for a second edition.